Diagnosis is based on a review of a person’s medical history, a physical examination, and laboratory tests. X rays of the adrenal or pituitary glands can be useful in locating tumors. Central obesity with increased adipose tissue in the mediastinum and peritoneum; increased waist-to-hip ratio: greater than 1 in men and 0.8 in women; and, upon CT scan of the abdomen, increased visceral fat is evident. Once Cushing’s syndrome has been diagnosed, other tests are used to find the exact location of the abnormality that leads to excess cortisol production. The choice of test depends, in part, on the preference of the endocrinologist or the center where the test is performed. Eat smart, balanced and choose nutritious foods. Keep Stress levels low and blow sugar balanced. Exercise gently. Exercise plays a significant role in any healthy lifestyle, but it’s important for you not to rush into it. Even if you think you’re feeling better, your body still needs time to heal. Start off slowly. Intense exercise can stress the body further. Just start with movement therapy and comfortable exercise. Keep tabs on your mental health. Your mental health can take a toll when you have Cushing’s syndrome—depression is common. If you feel blue or you don’t feel like doing the things you used to and you’re not sure why, don’t ignore it. Talk to your doctor—he or she can recommend a psychologist who can help you cope with your feelings throughout your recovery. Keep a journal to record how you feel on a day-to-day basis. Give yourself a break. Don’t be hard on yourself as your body recovers from Cushing’s syndrome. It’s important to get plenty of rest, relaxation, and sleep. Treat yourself to a gentle massage, warm bubble bath, meditation session or listen to soothing music. Incorporating these lifestyle tips into your routine can not only help you live well, but they can help you thrive with Cushing’s syndrome. After an evaluation by a physician, if stress is determined to be the cause of adrenal fatigue, the first goal is to relieve the stressful situations as much as possible. Consider lifestyle changes, including diet modification and exercise. Limit the consumption of processed foods, and avoid alcohol and tobacco use because these substances put extra stress on the adrenal glands. Many supplements recommended for Cushing’s syndrome may also be taken for general adrenal fatigue because they can help to support healthy adrenal function, reduce stress, and blunt the release of excess cortisol during stress. Nieman L, Ilias I. Evaluation and treatment of Cushing’s syndrome. The American Journal of Medicine. 2005;118:1340–1346. Pagana. Mosby’s Manual of Diagnostic and Laboratory Tests, fourth ed. Adler, Gail, MD, PhD., Griffing, George, MD. Cooper,Mark, MBBS, PhD, FRACP. Cushings Syndrome. Medscape reference. Stewart PM. The adrenal cortex. In: Kronenberg H, Melmed S, Polonsky K, Larsen PR, eds. Williams Textbook of Endocrinology. Philadelphia, Pa: Saunders Elsevier; 2008:chap 14. Meletis, Chris, ND. 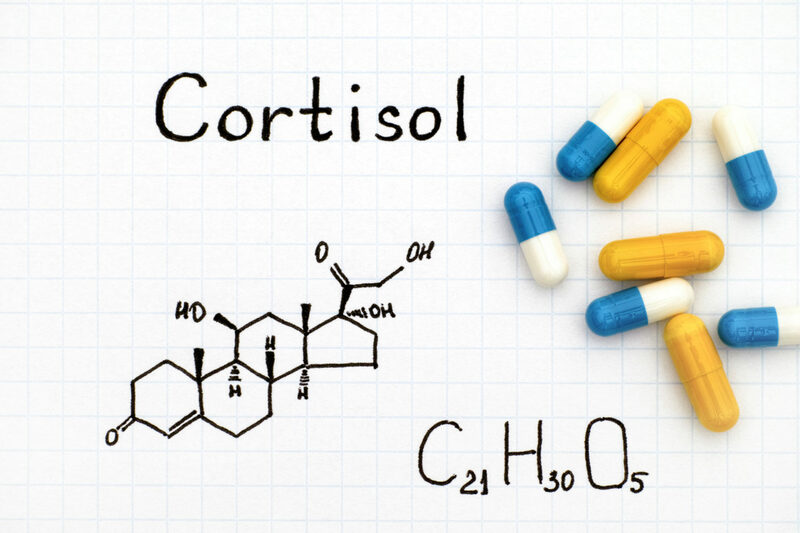 The Heart Harming Effects of Elevated Cortisol. 2011. LEF. ORG, Life Extension Foundation, Cushings Syndrome Protocols. Tritos NA1, Biller BM, Swearingen B. Management of Cushing disease. Nat Rev Endocrinol. 2011 May;7(5):279-89. doi: 10.1038/nrendo.2011.12. Epub 2011 Feb 8. Ahmed Rizk, Juergen Honegger, Monika Milian, and Tsambika Psaras Treatment Options in Cushing’s Disease, Clin Med Insights Oncol. 2012; 6: 75–84. 2012 Jan 11.